With the winter holiday season lurking just around the corner, soon we’ll be hosting parties or attending them. And, of course, we’ll need to provide noshes and grog for our guests, or arrive at someone’s party with treats in hand. Often, that means providing a cheese assortment and offering wine to accompany it. The cheese course is also a nice touch for an in-home holiday dinner. But what wine should you serve alongside cheese? As with any other food & wine pairing, there are guidelines to follow when choosing wine to complement cheese and vice versa. 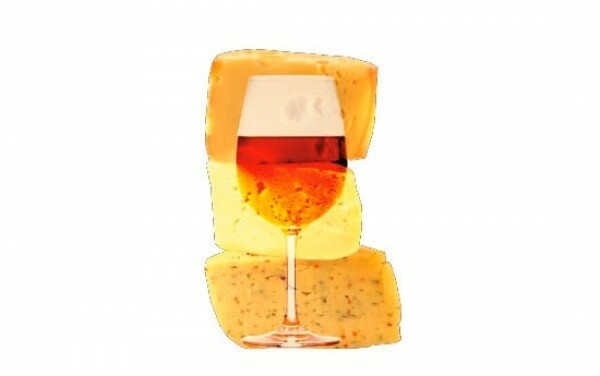 A great way to discover which wines go with which cheeses is to host a cheese & wine tasting party. And again, the holiday season provides plenty of opportunities to do so. There are lots of options for organizing a cheese & wine tasting. One is to focus on a particular style of cheese. For example, you might want to limit yourself to a range of cows-milk cheddar cheeses—perhaps Irish cheddar, cheddar from Vermont and Canada, and English farmhouse cheddar. They’re all similar, yet distinct. A different approach would be to serve an array of cheeses in very different and distinct styles. For instance, you might start with a mild French chevre followed by Spanish manchego, Swiss Gruyere and, finally, a pungent blue cheese from California. Next, select three or four different wines to try as you sample the cheeses—perhaps a Sauvignon Blanc, Chardonnay, Cabernet Sauvignon and Pinot Noir. The idea here is not only to find cheese & wine affinities and matches made in cheese & wine heaven, but also to discover pairings that don’t work, which is instructive as well. It’s all part of learning what flavors work together and why. Another suggestion: Don’t spend too much money on wine. Spring for great cheese but save the expensive Bordeaux and Burgundy for another time. Good, low-cost wines are perfect for cheese & wine pairings. Contrary to popular belief, red wine is not always the best choice for pairing with cheese. Milder cheeses like goat cheese and brie tend to get overwhelmed by most red wines, except perhaps Rosé. As with other foods, the idea is to try to match fuller, richly flavored cheeses with full, richly flavored wines. Similarly, lighter wines will be better matches for lighter cheeses. Still, there are some general guidelines about what works and what doesn’t. I’ve discovered, for example, that most hard cheeses cry out for red wine; the exception is Parmigiano-Reggiano and Champagne, which is a truly awesome pairing. I tend to like French Bordeaux or Cornas or even super-Tuscans with cheddar cheese, although everyday RhÃ´ne reds and Beaujolais work well too. I’ve also found that there are few better cheese & wine matches than that of a tangy goat cheese with Sauvignon Blanc, especially with the chalky flavors of French Sancerre. OK, remember what I said about not spending a lot of money on wine for cheese & wine pairings? Well, that doesn’t apply to blue-veined cheese, because one of the truly great food and wine matches is salty, sharp blue cheese paired with the sweetness and acidity of Sauternes, a decidedly expensive wine if there ever was one. But you could also opt for the more classic combination of blue cheese and port; even an inexpensive port like Fonseca Bin No. 27 ($12.99) or Graham’s Six Grapes ($22.98) port will bring tears to your eyes when drunk with crumbled blue cheese and candied walnuts. For more cheesy discoveries, I highly recommend attending a cheese & wine class at Caputo’s Market & Deli (CaputosDeli.com), which occur frequently.